Social Media 201 will help those who are familiar with social media boost their personal or business-related online presence with easy-to-follow sessions. Beginning February 18th, experts in the social media space will share their insight through a series of webcasts and interactive online sessions. 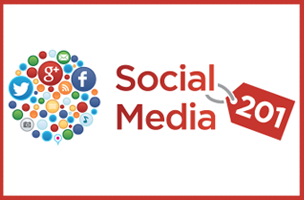 Taking place over the course of six weeks, Social Media 201 will help those who are familiar with social media boost their personal or business-related online presence with easy-to-follow sessions. For a limited time, Mediabistro is offering 25% OFF the online event with code LOVEMB. Register before 2/14/14 to redeem this offer!